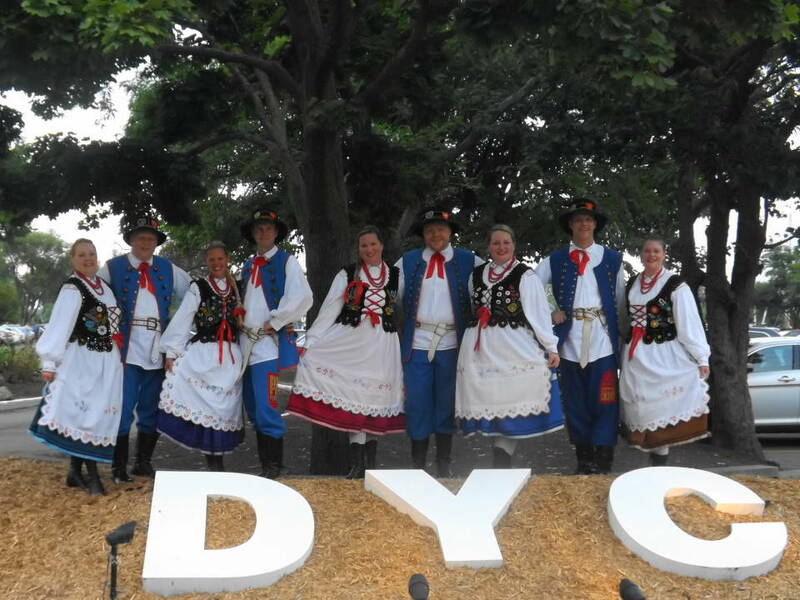 On Saturday, September 7, 2013, members of the Wawel Folk Ensemble performed at a wedding held on Belle Isle at the Detroit Yacht Club. While the venue might have seemed like something out of the Great Gatsby (indeed, old sport), the ensemble provided its distinctly Polish touch. The ensemble was very well received by the bride & groom and all their guests as it presented its Rzesow and Sieradz suites. Wawel's next performance is on October 4, 2013 at the Mt. Clemens Elks Club for their Polish Night. Although fall doesn't start until September 22, Labor Day usually signifies the end of summer. While many head up north or to the lake for one last hurrah until June, Wawel spent its Labor Day on the streets of Hamtramck participating in the city's annual Polish Day Parade. Hamtramck has a special place in the hearts of the members of the ensemble. The ensemble practices in hamtramck, members live in Hamtramck, grew up in Hamtramck, or go to church in Hamtramck. After the parade members of the ensemble stayed in downtown Hamtramck and took in the offerings of the annual Hamtramck Festival.